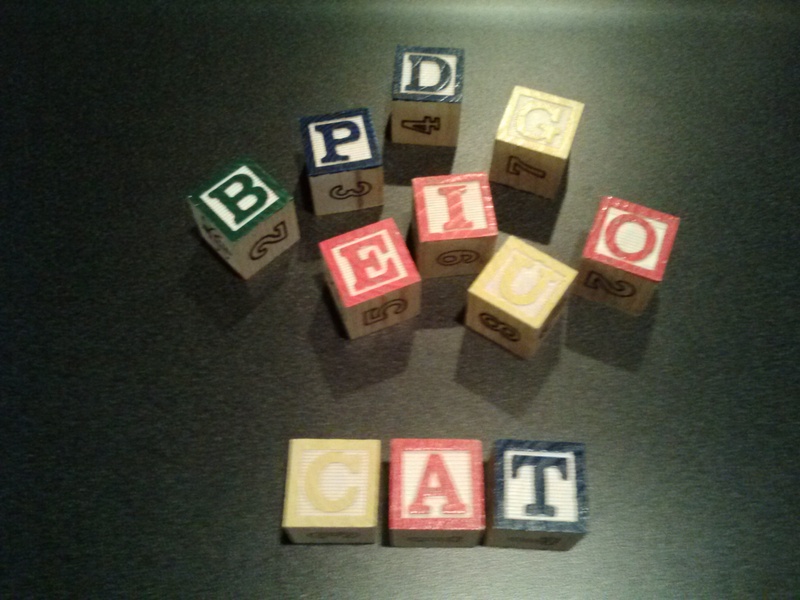 I remember how thrilled I was, as a parent, when my girls would point to a word and ask, “What does this say?” Once they had learned the alphabet and the sounds that the letters make, they were always asking me about new words. It was an exciting time because I knew that if they were asking, ”What does this say?”, they had begun to figure out that letter sounds could go together to make a word. Recently, I asked myself “wouldn’t it be wonderful to have our young English learners do the same thing?” I knew that students love to play and be creative in their play. So, I tried an activity with my students, using wooden alphabet blocks. Once again, I felt the excitement of watching young children begin to understand that letters have sounds and that they can make words with letters. The students had so much fun experimenting with the letters and sounds, and they learned so much through this activity! Since it worked so well, I thought I would share the idea with you. Once your students have learned 6 basic consonant sounds (B,P,D,T,C,G) and the short vowel sounds, this “What does it say?” activity is a great one to use.. It’s a perfect extension for Unit 8 of Let’s Go Level 1. 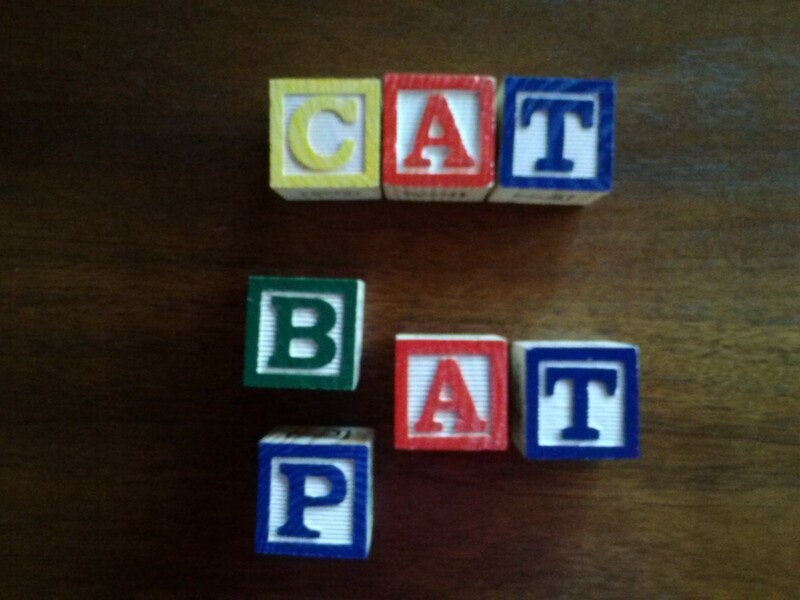 Put your students in pairs and give them a set of alphabet blocks. Be sure that each pair of students has all the letters that you have taught. 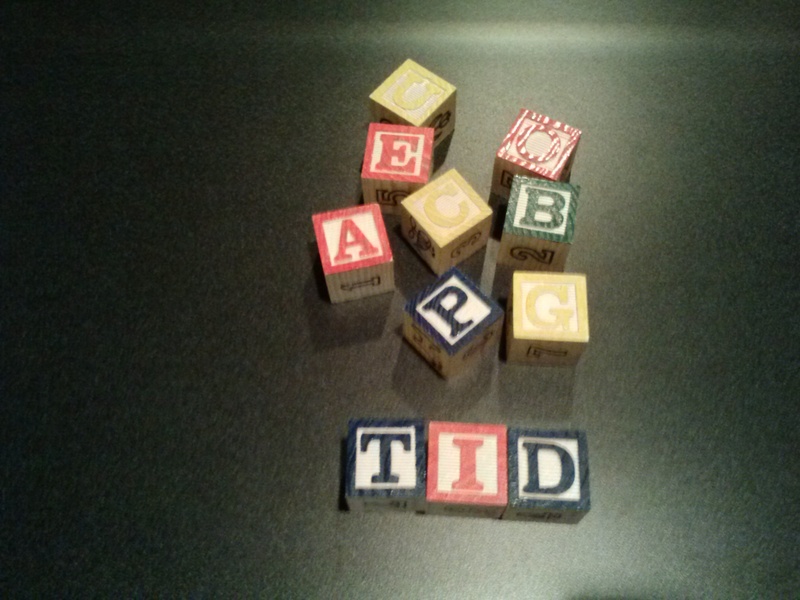 Have your students arrange the letters into three-letter words that they know. As they put the letters in order, have them practice sounding out the words. It’s a good idea to have your students make a list of the words that they create so they can use those words again later in the activity. T + I + D (TID) or C + I + G (CIG). 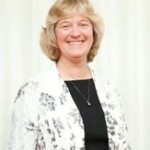 That is ok! Remember your students are playing with the letters and their sounds, as they are becoming comfortable with the process of sounding out a series of letters. So, it is alright for them to create real and nonsense words and then try to sound them out. They are experimenting and figuring out how letters go together to make words. 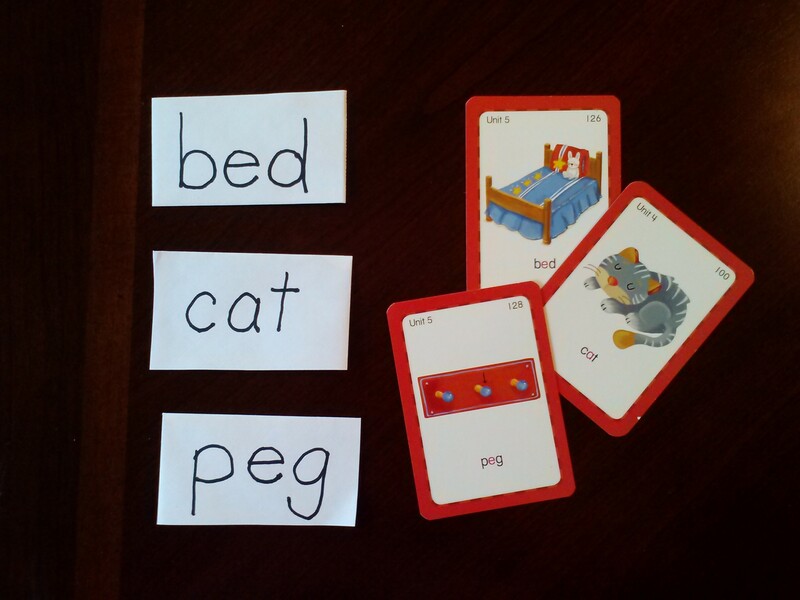 Part of that process includes making nonsense words and that is good! 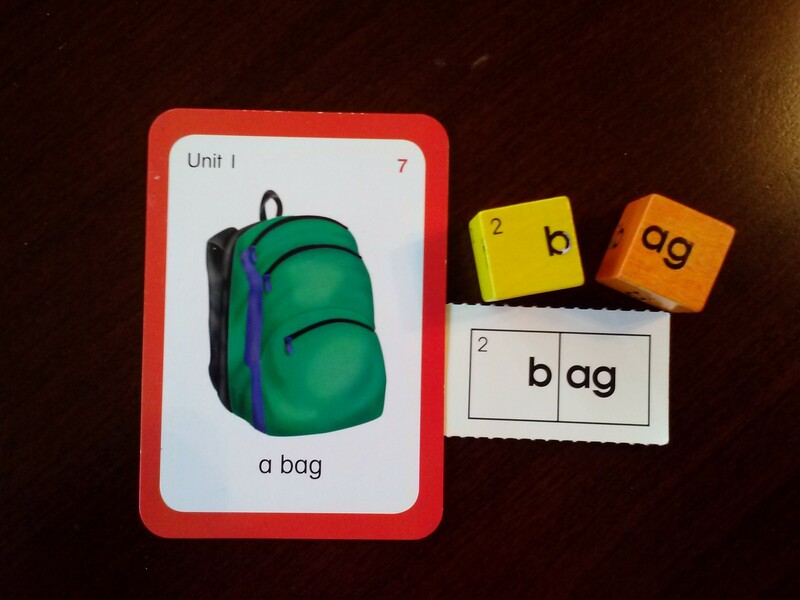 By doing this hands-on activity, your students will actually begin to figure out, by themselves, that certain combinations of letters spell English words and other combinations do not. 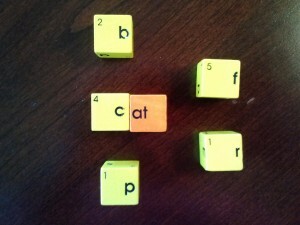 It’s a fun way for them to begin to understand the spelling patterns in English! Once your students have completed this activity, then you can talk about the new words they have created. 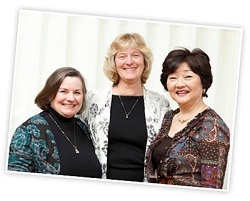 You can help them understand what the words say and which words are not real English words. The more your students do this activity, the more comfortable they will become with the process of sounding out a series of letters to make words. This is a very important skill that will help them as they develop more reading skills, which are needed to do independent reading. 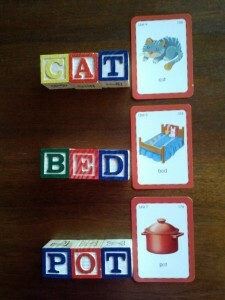 Other activities that you can do include matching the words to the pictures. Be sure to give the student the written word first and have them sound out the word. Then the student finds the matching picture card. 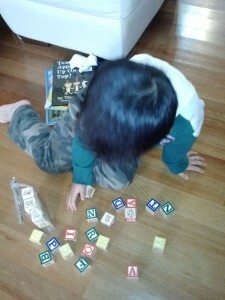 They can use the wooden block letters or they can make their own word cards for this matching activity. 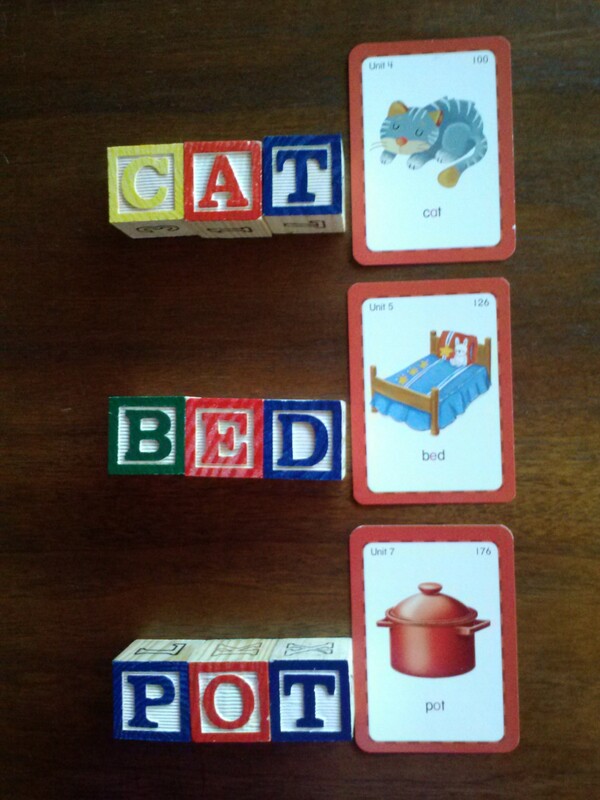 Also have them practice creating word family groups and then the students match them to picture cards. I have done the “What does it say?” activity, and all the others, in one-on-one teaching sessions and also with a groups of students put into pairs. These activities have worked well in both situations, and have helped my students develop confidence in the skill of sounding out words in English. They love creating their own letter combinations and trying to sound them out to see if they make an actual word in English. So, I hope you will give these activities a try with your students!